In this post I will share two recipes I’ve had waiting in my Recipes-to-Try folder, and recently did get around to. I loved them both. 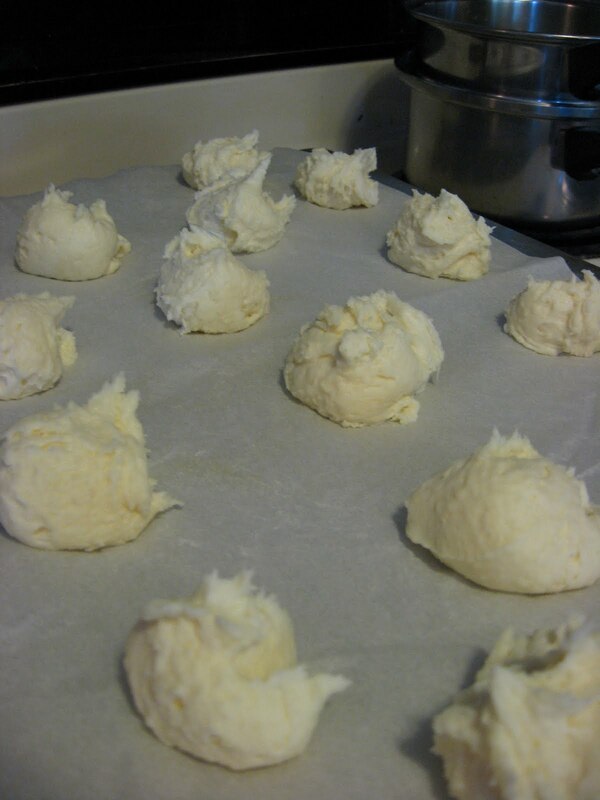 There are many recipes for the cheese buns around, with different ingredients and techniques (This one at the San Francisco Examiner looks plausible), but I will tend to stick with the Lunchbox version, as mine came out so good. One thing non-traditional in that recipe is the use of butter rather than oil. And I do love butter. I did cut down on the salt in my recipe, by 50%. They are quite unusual, in that they are made with tapioca starch rather than flour, and therefore are gluten-free, and chewy. 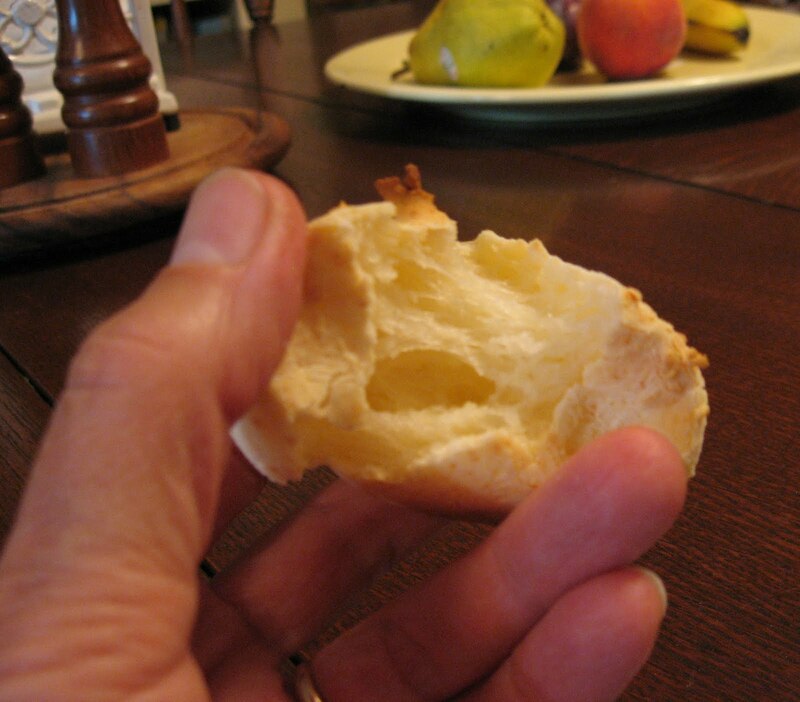 The first picture I took was of the sticky dough that one puts little globs of on parchment paper. This is the unappetizing stage. But just be patient. The rolls puff up as they bake, and while mine did come out with some “horns” and such like, they were oh-so-tender and light, while at the same time moist and tasty. I noticed that the Examiner recipe does have you make balls of the dough, which would reduce the prickly nature of the crust somewhat. But my dough was not firm enough for that. We all noticed the likeness to mochi, the Japanese term for food that is chewy like this and often made with a highly-refined rice flour called mochiko. I think if you like mochi-anything, you would love these buns. I’ll tell you more about mochi in another post. Mr. Glad doesn’t like mochi, and he didn’t like the Brazilian Cheese Breads. Too bad. I put the leftovers in the freezer, even though the original recipes say to only bake as many as you need and to freeze the balls instead, etc. This morning we put them in the microwave for a few seconds and they came out quite delicious. The other recipe I tried last week was Sweet Potato Biscuits. I would be happy to live off sweet potatoes, and because they are almost nutritious enough for that, I like to use them in as many ways as possible. Your biscuits look so delish. 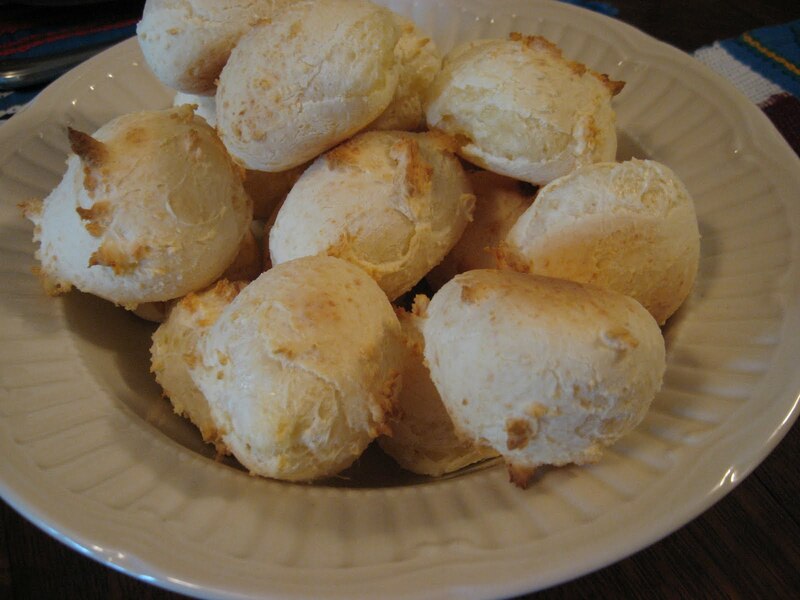 The Brazilian cheese biscuits reminded me of pop-overs when I saw the picture of them broken open. I love pop-overs. I love the language difference! and what YOU call 'biscuits' we call 'scones' !! I have never made them with sweet potatoes though. I do often make 'regular' sweet biscuits/scones with a small 2″ cutter- and serve them with jam [jelly] and clotted cream for fancy tea parties. 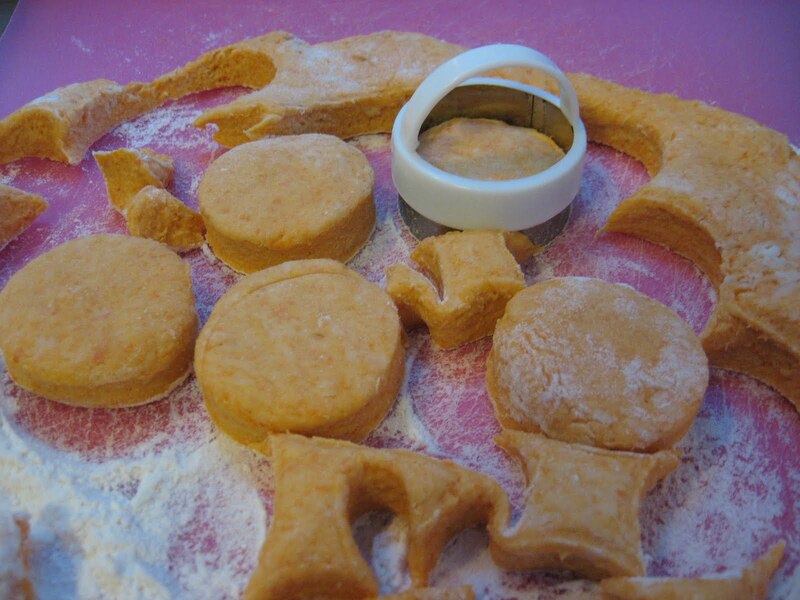 I'm going to try these sweet potato biscuits. Thank you for sharing the recipe! I’m going to try this recipe. We make these fairly often – my husband is Brazilian. Thanks for this! They’re great for gluten-free people, too.